Returning home from Congleton today we came over Blackstone Edge (1,300 ft above sea level) which marks the boundary between Lancashire and Yorkshire. 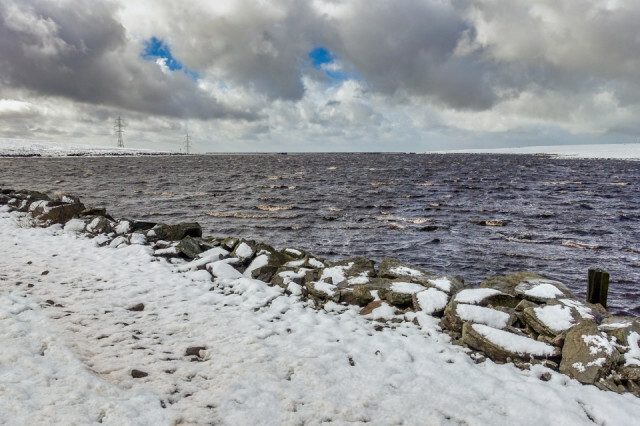 I thought the reservoir and the snow would make an interesting Blip. Getting out of the car I was almost blown away.....This Blip was taken whilst propping myself up on the leeward side of my car.....and it was very cold.